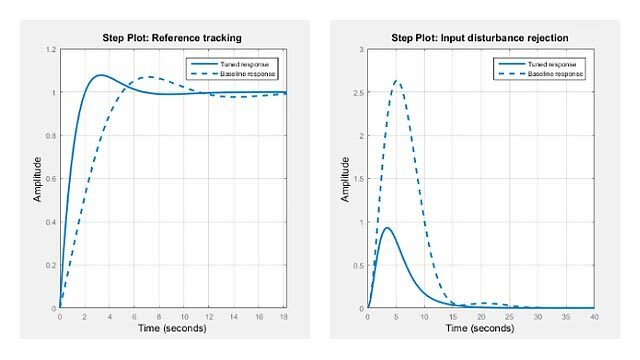 sysl = upsample(sys,L) resamples the discrete-time dynamic system model sys at a sampling rate that is L-times faster than the sample time of sys (Ts0). L must be a positive integer. When sys is a TF model, H(z), upsample returns sysl as H(zL) with the sample time Ts0 / L.
The time responses of sys and sysl match at multiples of Ts0. The frequency responses of sys and sysl match up to the Nyquist frequency π / Ts0. sysl has L times as many states as sys. Create a transfer function with sample time 2.25 seconds. Create a transfer function with a sample time that is 14 times faster than sys. The sample time of sys1 is 0.16071 seconds, which is 14 times faster than the sample time of sys.